I've had a twitter account for about a year or two but for some reason I just couldn't bring myself to use it. Updating the world hourly about my day just didn't seem like something that I could do. Besides, why would anyone care about what I do during my day? Well, my fist's in my mouth now. It's addictive. Granted, I mostly tweet about giveaways, blogs and books but it's still a lot of fun. So when I came across Goodnight Tweetheart, I was definitely interested. I mean, come on, 90% of the book takes place on Twitter! Abigail Donovan is a one time wonder, although she won't admit it to herself. Her first novel was a huge success and was featured as Oprah's Pick and also, almost won the Pulitzer Prize. Years after it was published, Abigail has still not written her second novel as she was facing, like a lot of writers out there, a writer's block. She's just not able to write past Chapter 5. Right now, Abigail's confidence is about the size of a peanut. Hoping to regain some publicity and fans, her agent sets up a Twitter Account for her and so , Abigail's introduced to Twitterville! Seriously, this book was a hoot! Do not read it while you're drinking/eating - I was snorting food out of my nose. If you're looking for a book to just downright entertain you, then this is it! 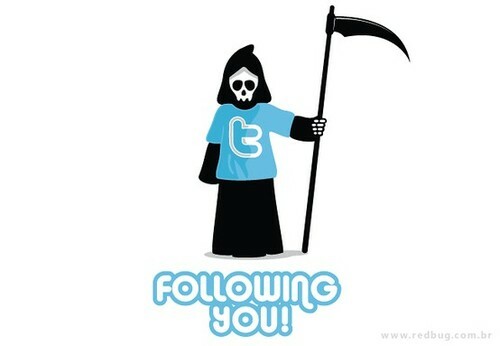 Also, if you're a twitter freak, you'd love it even more! 'Abby_Donovan : So will this app make posting my twits any easier? MarkBaynard : Wince! You don't "twit". You "tweet". I'm always online and I know that it's possible to lead two different lives where the internet is concerned. Yeah, the internet has it's scary parts - predators, hackers, scammers and liars but it's also pretty amazing. I've a whole bunch of friends with similar interests as me online and a different bunch in real life. Thanks to smart phones, it's now possible to combine both the lives together! Abby and Mark's witty banter is really amusing and fun to read. Honestly, half way through the book I was just smitten with Mark. He's honestly just cute, oh they both are! I haven't been able to decide between 3 or 4 stars for this one! I'm somewhere between I liked it and I really liked it. The ending was a little disappointing to me. Also, with most of the book being light and funny, towards the end, it seemed a little too extreme and maybe even a little sad. Oh sure, everything works out in the end but I read chick lit's for a reason! So I get happy and giggly while reading it and at the end of it I'm smiling & in a good mood. Having said that, you should check this one out! Especially if you're an author or a twitter fan yourself. It's one of those books that's really humorous and highly engaging! I can't wait to check this one out! It sounds like it would be really fun to read. 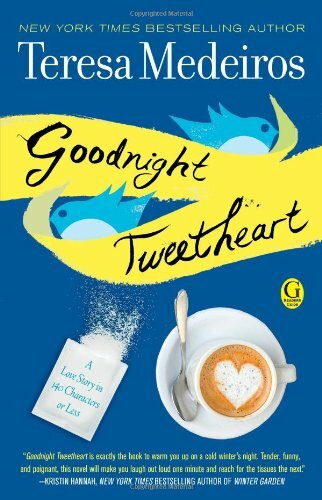 I am so greatful that I picked up a copy of "Goodnight Tweetheart". I would recommend this book to all my friends, my family and anyone that just wants to curl up with a really really really GREAT book. I will be looking for more from this author.